Packaging companies and their supply chain partners face a series of challenges feeding consumer demand. Bringing goods to market is a complex process, influenced by wide-ranging factors – from regulatory compliance to customer satisfaction. At each level of industry standards for packaging and manufacturing, public perception and government oversight shape the way goods move through the stages of delivery and sale. In this increasingly intricate environment, producers and contract packagers are not only accountable to their own high standards, but they also answer directly to consumers. 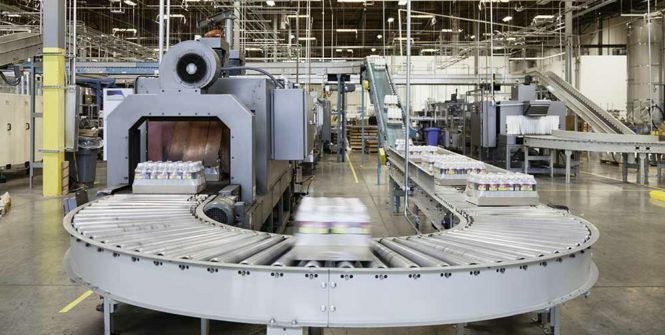 Faced with evolving business demands, the most successful contract packaging providers quickly adapt to changes within the multifaceted industry. As packaging companies continue devising unique solutions for the ever-changing consumer marketplace, many packagers share similar objectives for the coming months. According to feedback from within the industry – compliance, quality control, increased efficiency and higher profitability are near-term goals shared by many contract packagers. Industry trends guide strategic thinking for packaging providers, so packagers think on their feet, responding to changing conditions. In order to stay one step ahead of demand, forward-thinking companies continually seek ways to increase profitability and improve best practices. A recent study sought feedback from packagers, underscoring their shared focus, in a few dominant areas. Although nimble professional packagers swiftly respond to changes within the industry, the Nulogy study shines a light on the unique challenges packaging companies face, addressing each aspect of the fulfillment process. As a result, in the coming year, packagers intend to seek further knowledge and deeper understanding in the areas of compliance, business growth, increased profitability and operational efficiency. In addition, using technology to advance the contract packaging business was identified as important to at least one third of those surveyed. With so much at stake – from revenue to consumer health, contract packagers are under scrutiny. Successful packaging companies count on positive public perception, together with the spirit of innovation, to continually reinvent the industry. In order to stay on the cutting edge of marketing, design, distribution and branding, producers and their contract packaging partners push the envelope, searching for lasting consumer impressions. As technology renders new possibilities, however, marketers are faced with moral dilemmas. The best packagers maintain high standards, giving shoppers transparency they crave, while staying true to regulations governing various types of packaging. Product packaging serves many functions, so achieving the correct balance is one important mission guiding packaging companies in 2016. On one hand, packaging provides protection, so it must be sturdy and durable. Yet, in today’s competitive marketplace, packages also tell stories, inducing brand curiosity and ultimately, purchases. Sharing important information with consumers, alongside logos, imagery and brand identifiers is a delicate balancing act – with the power to draw-in buyers or send them to another brand. To illustrate their commitment to responsible practices, forward-thinking packagers will continue to maintain high standards in these key areas. Claims made on labels serve to inform the buying public, but packages are also used for marketing messages. Stand-out packaging companies know where the line is drawn, ensuring label claims are truthful, yet still offer helpful information for end-users. Progressive packagers will continue to work with producers, reinforcing the value of claims like ‘all-natural’, ‘organic’ and ‘fresh’. Packagers play a key role making sure shoppers are safe – especially when marketing food products. In addition to legal compliance with applicable FDA laws and other regulations, reputable packaging companies initiate rigorous in-house standards, tracking food handling practices, materials safety and production protocols used at each facility. As consumers align with greener virtues, packaging companies adjust production practices to acknowledge the public’s environmental concerns. From using a greater share of recyclable materials to decreasing the amount of raw material used for each unit, well-informed packaging companies find ways to connect with this important consumer value. As shoppers, clients and regulatory bodies ask contract packagers for greater accountability, the most successful companies appear committed to improving key functions and priorities in 2016. Safety, efficiency, quality control, and profitability were each identified as matters of importance, prompting packagers to look closely at their performance in these areas.